We start off day five refreshed and ready to build after yesterdays beach day and last nights good sleep. We head up the hill full of good ideas and plans for the day. The carousel group discusses their plan for the day. The carousel group works on the bubble machines. We get up the hill and immediately start working! The carousel group continues to build their bubble machines and attaching them to the carts. They make good progress on the machines, getting all four machines attached to all four carts. 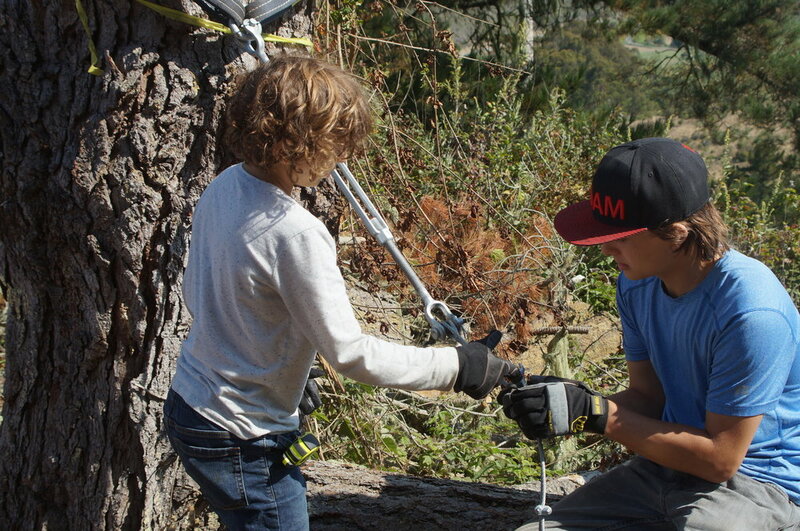 Brody works with Morgan on the wire for the zip line. Alex working on the stopping m=system for the zipline. Some of the treehouse group decides on making a zip-line attached to the treehouse platform, so they get right to it. Alex and Evan sit in the treehouse. Evan is working on the railings for the treehouse. The treehouse group heads up the hill with new ideas and further plans for the treehouse. 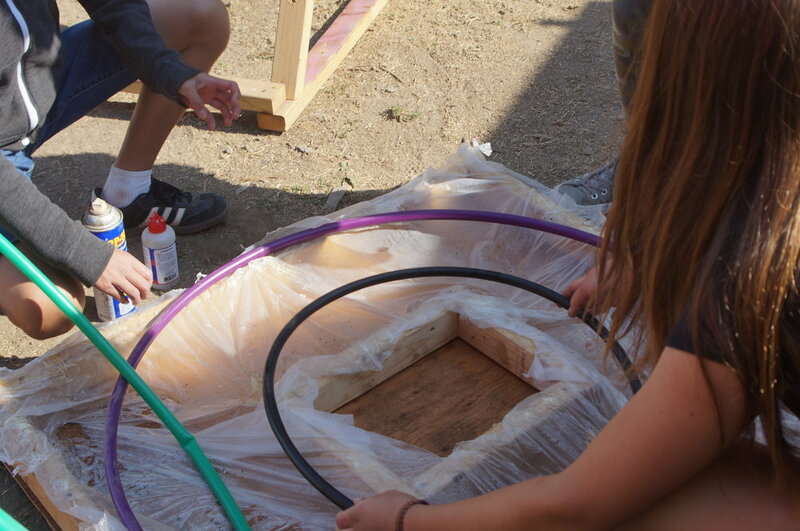 Half of the group works on making railings for the deck, and the other half works on making a bubble shaped dome. 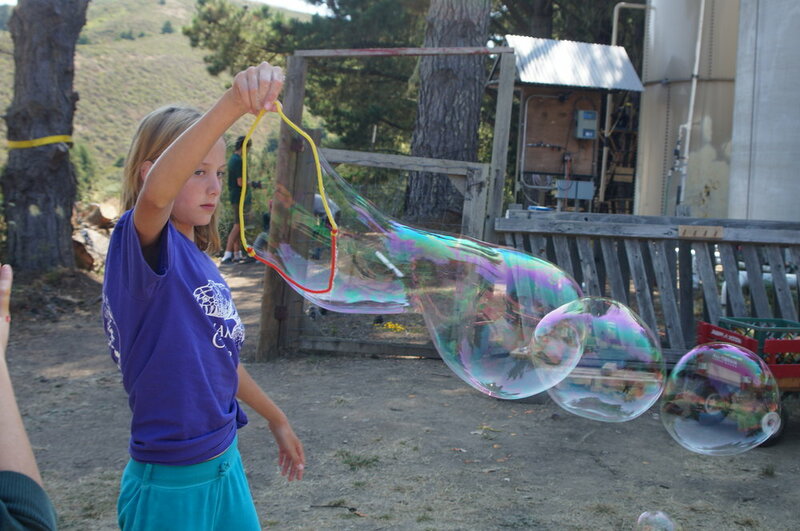 After lunch, we experimented with bubbles. 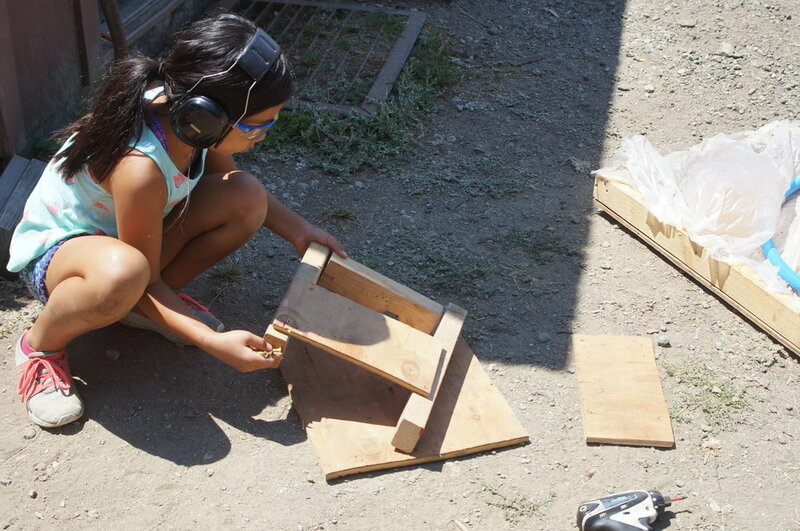 Some of us also worked on their own projects that they had been working during free build times. After a long day of building, we head down the hill to get an animal tour done by Leslie. We visit the goats, the donkey, the llama, the rabbits, and Kaitlyn! When we get to the conference center we have dinner and then settle down for another movie night! Tonight we watched Atlantis. After the movie is over, everyone slowly trickles to bed. The camp quiets down, resting for their final push tomorrow.